When Cameron takes his submissive boyfriend Noah to a gay men’s leather convention in San Francisco, Cam expects to spend the week exploring their relationship and experimenting with non-monogamy. 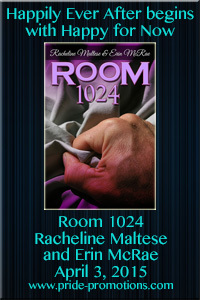 What he doesn’t expect is to run into his own former dom, Lou, in an embarrassingly public reunion. While Noah is enthusiastic about the opportunity to play with the former international leather title-holder, Cam is more wary. He and Lou have unfinished business. A four-way encounter with Lou and his sub Stephen could be great fun—or it could show Noah that Cameron can never quite be the dom he wants and needs. As Cameron and Noah work through the uncertainties in their relationship, Noah is offered everything he ever wanted, in a completely different way than he ever expected, leading all four men to discover that sometimes the only way forward is to revisit the past. Lou glances at Cameron to make sure it’s all right he’s asked, only after the fact, and Cameron gives a little nod. Among other things, he’s curious how Noah, who agitated for this trip and is constantly saying he wants them to be more a part of the community, will take the reality of it. Noah glances around and blushes slightly at the impending necessity of mentioning spanking and flogging and CBT in public. Cameron finds it completely endearing. It also reveals, while Lou smirks over them all, just what it takes to turn Stephen into a chatterbox: comparing notes. 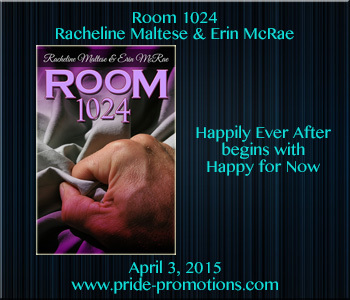 Erin McRae and Racheline Maltese are authors of the gay romance series Love in Los Angeles, set in the film and television industry—Starling (September 10, 2014), Doves (January 21, 2015), and Phoenix (June 10, 2015)—all from Torquere Press. Their gay romance novella Midsummer (Love’s Labour 1), about a summerstock Shakespeare company, is from Dreamspinner Press (May 2015). They also have a story in Best Gay Romance 2015 from Cleis Press and edited by Felice Picano. Racheline is a NYC-based performer and storyteller; Erin is a writer and blogger based in Washington, D.C. They write stories and scripts about the intersection of private lives, fame, and desire. You can find them on the web at http://www.Avian30.com. Sounds like a complicated situation, congrats on the upcoming release!